Android fans rejoice! The new Android 3.1 Ice Cream Sandwich brings the promise of better USB support to connect to digital cameras and printers. But Android’s discovery of new USB peripherals does not end there, because Google is opening up to Arduino-based accessories with their own official Android Open Accessory Development Kit. 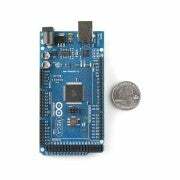 While you can’t exactly use a good ol’ homebrewed Arduino setup with it, Google will be providing the USB micro-controller board, Android Demo Shield, and the library software needed to run the board. You’ll still need a Windows, Mac, or Linux box to get the thing running, but after that you can use your handy Android device, any version between 2.3.4 and 3.1, to run it. Accessories with the Accessory Development Kit (ADK) board can be run from your Android device using the DemoKit Android application. The ADK board receives commands such as lighting up the board's LEDs while it sends data such as joystick movement and temperature readings back to your devices. So far Android’s Arduino kit only supports USB connectivity but they hope to have connections by bluetooth in the future. Android’s previous USB protocol only supported accessories that provided 500mA at 5V for charging power. The Android Open Accessory support overcomes the limitation allowing users to build their own accessories to be used with the device.